BTC currently broadcasts data in the United States and Canada with 94 markets of FM RDS-TMC and 87 markets of HD data services. The BTC US population coverage is approximately 188 million for RDS and 183 Million for HD. BTC population coverage in Canada is approximately 15 Million (RDS). 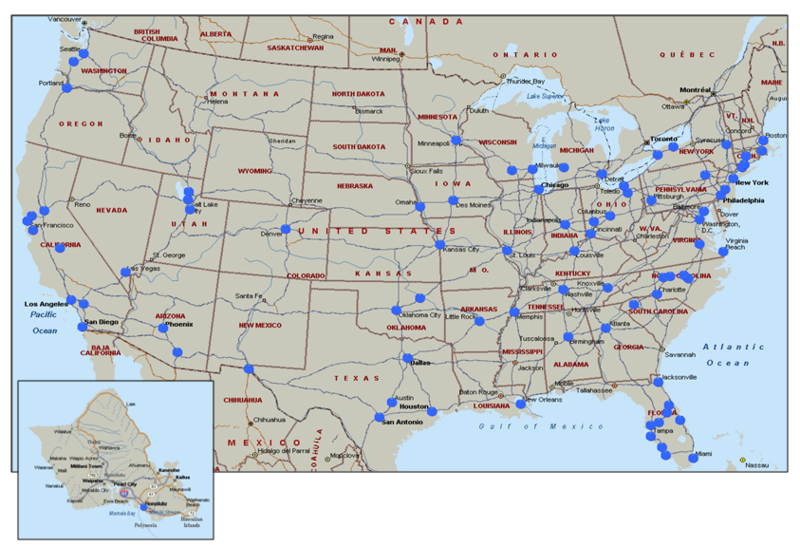 BTC member stations represent the potential for over 150 total markets of coverage.